Highlights of the Cash Bonanza Carnival at Nittambuwa. The National Mobile Service Provider, Mobitel, concluded another episode of its much acclaimed loyalty rewards program with the ‘Mobitel Cash Bonanza Carnival’ at the Nittambuwa Public Grounds on October 27. The event concluded on a very high note with the enthusiastic participation and overwhelming support of their much loyal customer base. This unique and exciting draw has found favour amongst its growing and established clientele as one of the most rewarding, extravagant and superior lucky draws in the country, consecutively carried forward with much momentum. With super luxury Benz Cars on offer as giveaways for the winners of Mobitel Cash Bonanza 2018 draw, Mobitel Cash Bonanza continues to make its mark as one of the most successful loyalty programs in Sri Lanka in the past years. 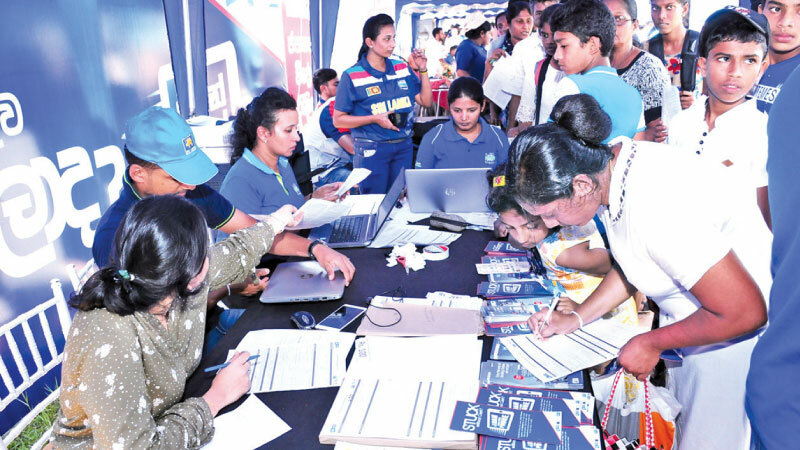 Furthermore, the daily and the quarterly draws reward lucky winners with over 190 million rupees in cash prizes, giving away rupees 500 each for 220,000 lucky winners year around , making Mobitel, the only telecommunication company to run such a finely executed loyalty rewards scheme and a mammoth marketing campaign. The carnival was marked with activities throughout the day, inclusive of Bunjee jumping, art competitions, IOT workshops, kids play area and Mobitel services and product kiosks. The beauty culture kiosk and the special medical consultancy clinic organized free of charge were some of the unique experiences and services provided for the enjoyment and the benefit of the crowd. The highlight of the event was the special eye clinic organized by Mobitel as part of their Corporate Social Responsibility initiative. The eye clinic with the participation of renowned optometrists saw the distribution of 1000 eyeglasses amongst the public. 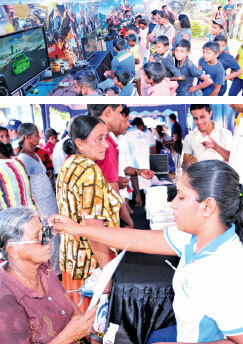 The ‘gaming zone’ powered by the high speed Mobitel 4G internet connection, was another favourite amongst the crowd and saw the much animated participation of the young and the old alike. All prepaid, post-paid and broadband connection and every recharge of 50 Rupees automatically qualify the customers for the Mobitel Cash Bonanza draw.